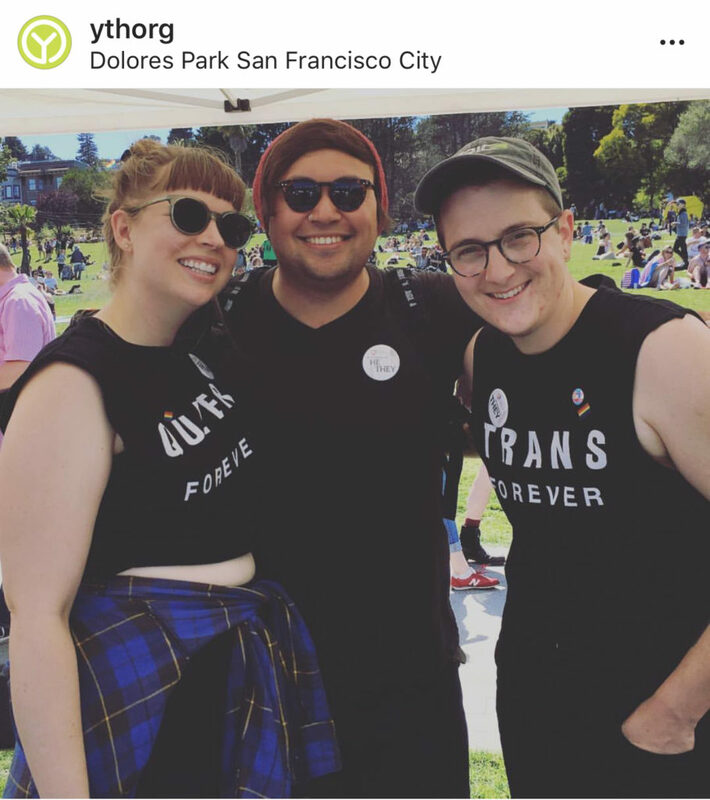 San Francisco’s Trans March took place on June 22, 2018 in Dolores Park. 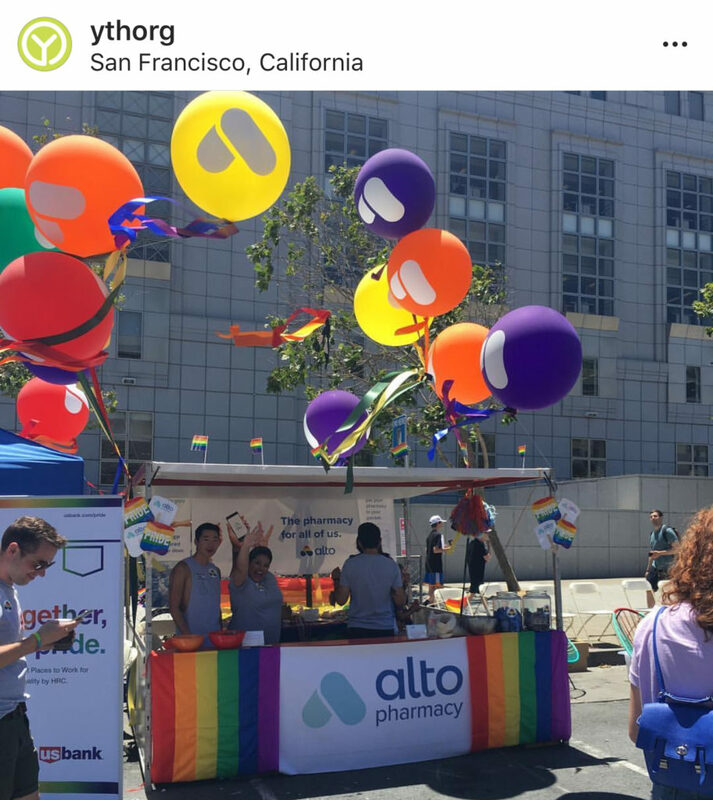 Alto Pharmacy lent some space to they2ze by providing palm cards and information from their booth at San Francisco Pride. YTH was there basking in the glow and handing out palm cards to promote our they2ze app. 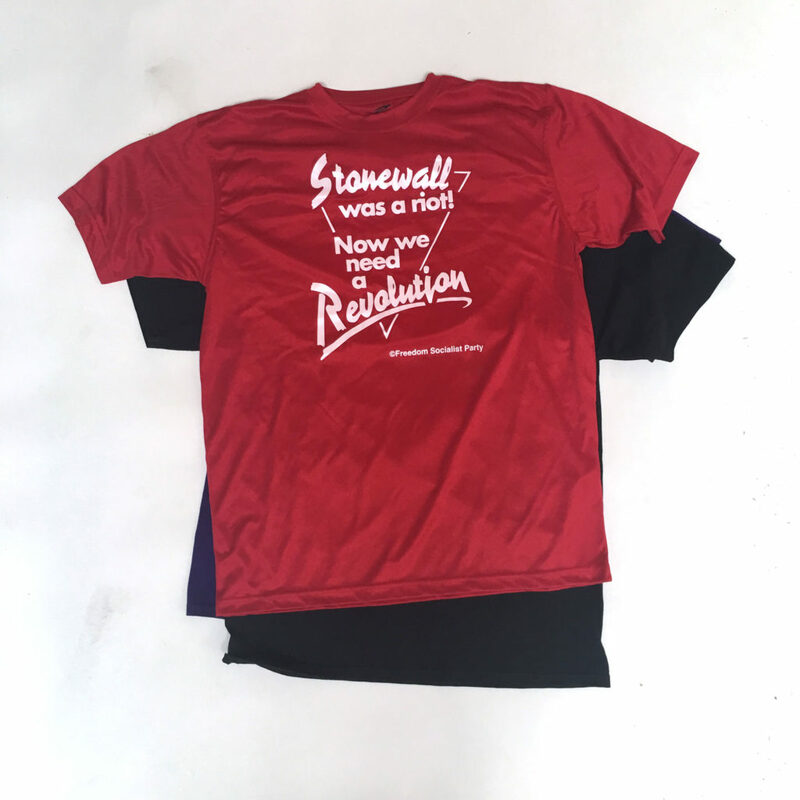 We spoke with many people about HIV prevention, health resources, the fun of including everyone, and those healthcare workers who went out of their way to do so. 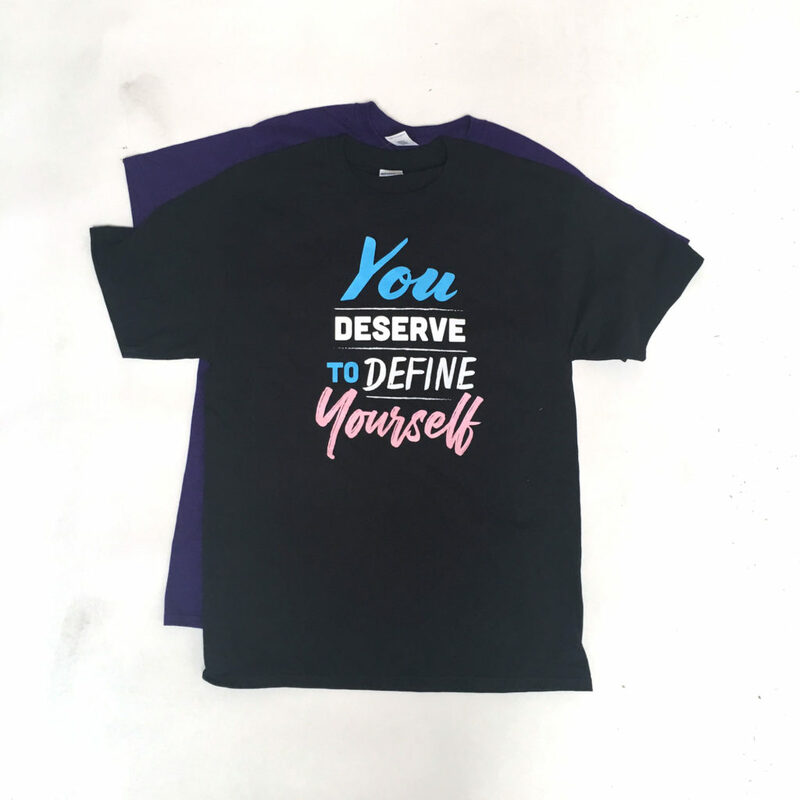 If you don’t know already they2ze is a digital approach to connect transgender-spectrum youth (TSY) and their providers to truly inclusive health services and peer support. It is available on the Apple and Android platforms. 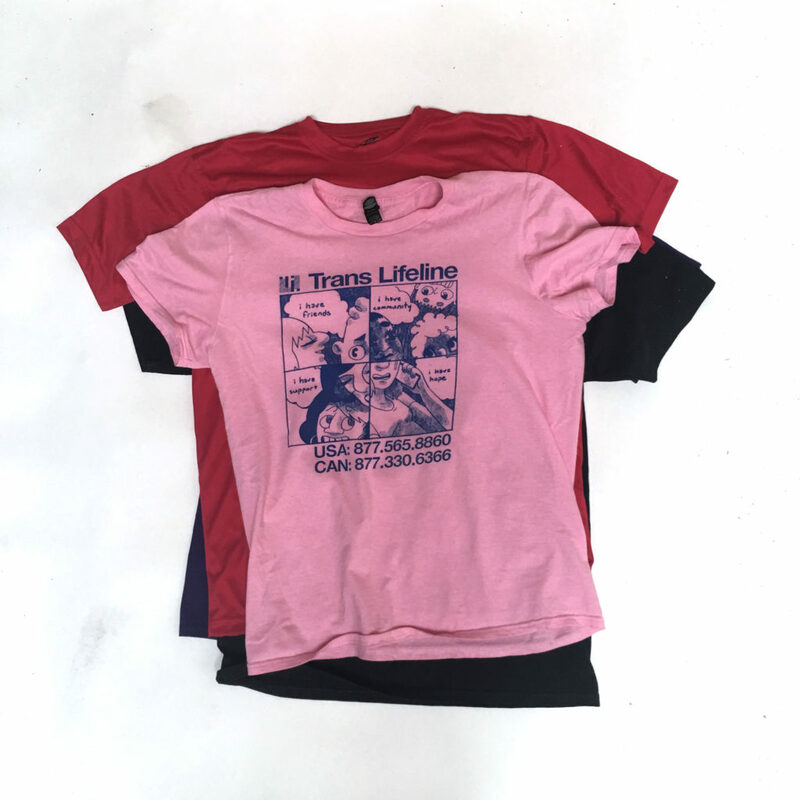 Gender Confirmation Center tabled at Trans March. They have been sponsors and partners of YTH for a few years now. 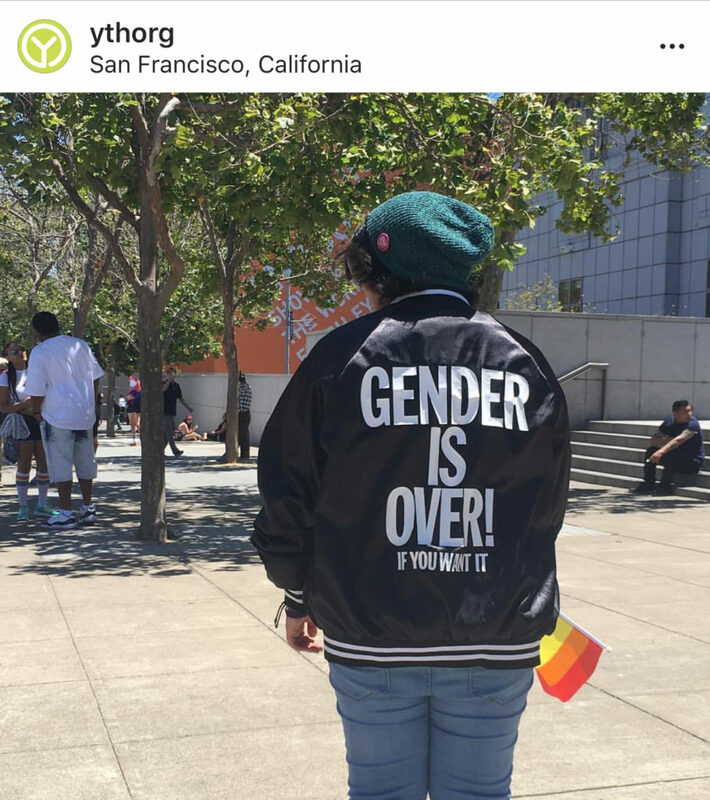 One of our favorite jackets from SF Pride. In Dolores Park that Friday afternoon, we remembered exactly who we were working for. The youth. Attending their first Pride, painted in rainbows, holding hands with their friends, jumping and running – having escaped some seemingly distant land where they can’t express themselves as they wish. Here in the park, this event reminds you of who we work for, who we wish to reach. They jump and run, smile and laugh, like they can’t do except on this day and in this space. Their energy, recharges ours. March on. 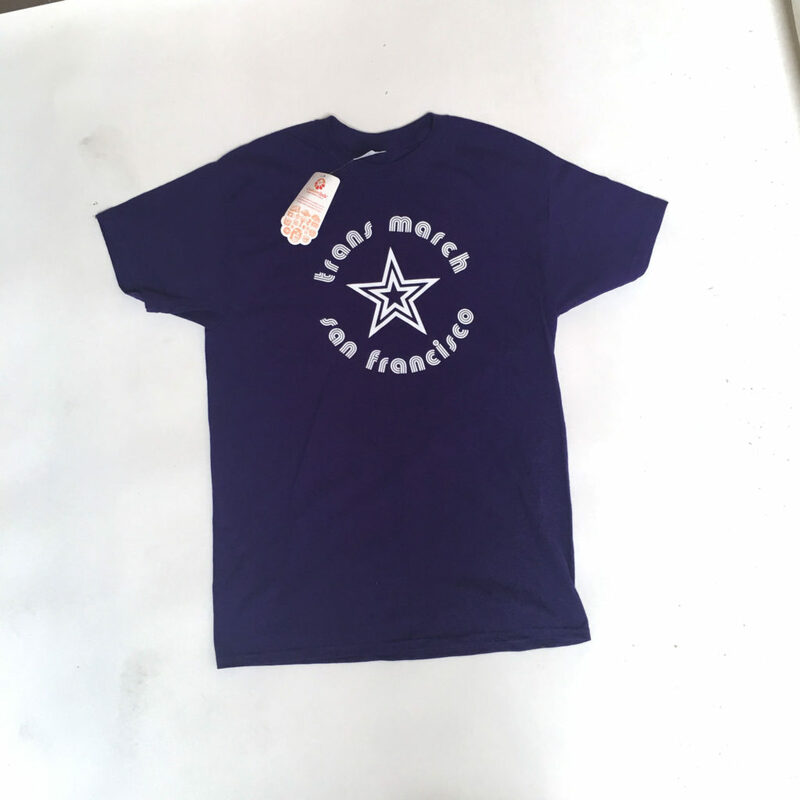 One of us bought ever t-shirt they could find.